Payasos Sin Fronteras and Social Clown led a project in Burkina Faso to support malnurished kids and sensitize the population about this important issue. In August 2016, Clowns Without Borders Spain went to Burkina Faso to do workshops with undernourished people. 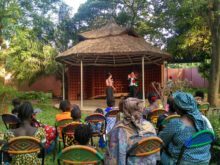 In March 2015, Clowns Without Borders Spain went to Burkina-Faso and performed 35 shows for 15,736 people. In 2013, Clowns Without Borders Spain went to Burkina Faso to do a nutritional-related project with clowns performing psycho-motor activities in CREN units. They performed 19 shows for 565 people. In 2013, Clowns Without Borders Spain went to Burkina Faso to do a nutritional-related project with clowns performing psycho-motor activities in CREN units. They performed 18 shows for 730 people. In 2012, Clowns Without Borders Spain went to Burkina Faso to make kids in hospitals and Health Centers laugh. They performed 37 shows for 802 people. 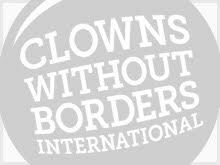 In 2012, Clowns Without Borders Spain went to Burkina Faso to make kids in hospitals and Health Centers laugh. They performed 31 shows for 1051 people. In 2007, Clowns Without Borders Belgium toured in Senegal and Burkina Faso.